The Om Mantra, also sometimes spelled Ohm or Aum is considered the sound that created the universe in Hindu and Buddhist mythologies. 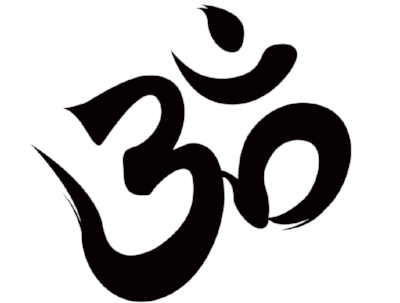 Om, according to the Hindu belief system, is the sound that created the world. As such it is a creation sound. Life comes from it's utterance. Om is used as a healing tool, a centering and balancing tool, and as a space clearing tool. It is a powerful and straightforward, easy-to-learn, sound healing practice. One of the best. We chant/tone Om on a daily basis, and it has become more powerful with practice. Om is easy. Simply allow the word to sound out long, allow it to rise from deep within you. Allow emphasis on the beginning and the end. Let it last as long as it wants to. It will immediately raise your vibration and the vibration of the space you're in. OM: What Is It & Why Do We Chant It? ...By chanting OM we are symbolically and physically tuning in to that sound and acknowledging our connection to all other living beings, nature and the universe. Om is considered the monarch of all mantras. -- SpiritualResearchFoundation.org. Early on in my yoga practice, I often opted out of sounding the Om. Skipping it made perfect sense: My weak vocal chords made it sound like a pathetic, whimpering whine. I could never get the timing right or take in enough breath. I simply didn’t feel it. “Om” is more than just an invitation to start your practice. It is said to be the primordial sound born with the universe. As we exhale the A-U-M, its vibration links us to the original source of creation. When done properly, the sound reverberates from the pelvic floor upward through the crown of the head, filling the body with pulsating energy that simultaneously empowers and radiates tranquility. Read the whole story on YogaJournal.com. Read the whole piece on Collective-Evolution.com. Read 17 "Surprising Benefits of Chanting Om" on Sivana East.